Home/Nutrition & Recipes/Articles/Benefits of Organic/Nutritional Benefits/Do You Really Know What’s in Your Toddler’s Food? Harmful additives often end up in your child’s food. Manufacturers want to grow the food faster, preserve it longer and make it taste ‘fresher’. Often parents don’t realise the chemicals that are present in even the most common foods their children eat because those additives are either not disclosed on the packaging or disguised behind unrecognizable chemicals. Yet the eating habits that young children establish early on can last a lifetime, which is why understanding the most harmful foods to avoid is invaluable knowledge. Luckily, finding the safest foods isn’t that complicated. You just need to know what you’re looking for so that you can provide the safest choices for your toddler. Fruit and vegetables are an essential part of your child’s diet, but pesticide residues are often found on non-organic produce. Pesticides may affect your child’s health now or later in life. Research shows that pesticides can contribute to a wide range of health problems, including cancer, lung disease, reproductive problems, and possibly immunity and endocrine problems. Animal testing has even indicated that pesticides may contribute to behavioural problems and long-term damage to the brain and nervous system. Are children more vulnerable to pesticides than adults? There are several reasons why children are likely to be more vulnerable to pesticides than adults. Children tend to eat a limited range of produce, which means they can be exposed to higher levels of specific pesticides common in those foods. They also eat more food relative to their body-weight than adults. This added load on a still developing system may mean that young children are less able to break down toxins. Furthermore, pesticides can block the absorption of the essential nutrients they need for growth and development. How can I avoid feeding my toddler pesticides? Peel any non-organic fruit and vegetables, and remove the outer layers of leafy green vegetables. Scrub any vegetables that you don’t peel under running water, or use a vegetable washer. Soak and rinse fruit and vegetables that are difficult to scrub. Trim the fat off meat and remove the skin from poultry, because pesticides and other chemicals are often concentrated in the fat of animals. When possible, choose organic produce, especially for the fruits and vegetables with the highest levels of pesticide residue: apples, celery, sweet bell peppers, peaches, strawberries, imported nectarines, grapes, spinach, lettuce, cucumbers, domestic blueberries and potatoes. Feed your toddler more of the fruits and vegetables with lower levels of pesticide residue, including onions, sweet corn, pineapple, avocado, cabbage, sweet peas, asparagus, mangoes, eggplant, kiwi, rockmelon, sweet potatoes, grapefruit, watermelon and mushrooms. When possible, buy locally grown produce. Produce from further afield usually has after-harvest pesticides and waxes to help them survive the transport. They are also often picked before ripening, so they will be less flavoursome and contain fewer nutrients. Serve a wide variety of foods to prevent the possible build-up of one particular pesticide. It’s hard to avoid preservatives, because both natural and synthetic ones are in so many of the foods and drinks children consume. Most of the preservatives in our foods are deemed safe by the regulatory food authorities (at least in small quantities), but there are no long-term studies on the cumulative effects of synthetic preservatives over the course of a lifetime. Food Standards Australia New Zealand restricts manufacturers from putting preservatives in baby food, but toddlers and young children often eat foods outside of this category. Nitrates (in particular Sodium Nitrate) – these are often used to prevent bacterial growth in processed meats which are served to many toddlers as finger food. Yet infants are particularly susceptible to nitrate toxicity, which can develop into methaemoglobinemia or “blue baby” syndrome. Sulfites – these are added to many prepared foods that young children eat to keep them ‘fresh’. Many kids have a sensitivity to them, which can lead to breathing difficulties among other issues. BHA and BHT – these preservatives are used in a wide variety of foods that contain oils and fats. They’ve been linked asthma, cancer and some behavioural issues. TBHQ or Butane – incredibly, some common fast foods like chicken nuggets contain this chemical to, once again, preserve ‘freshness’. Ingesting even small amounts can cause nausea and vomiting, among many other symptoms. The simplest way to avoid preservatives is to eat certified organic food, which are always preservative-free. When possible, eat fresh whole foods prepared by you. Read the labels on prepackaged foods carefully and avoid foods containing harmful preservatives. Limit your toddler’s exposure to processed foods, especially meats. Choose foods with natural preservatives over ones with synthetic preservatives. Ask for preservative-free bread, or bake your own. 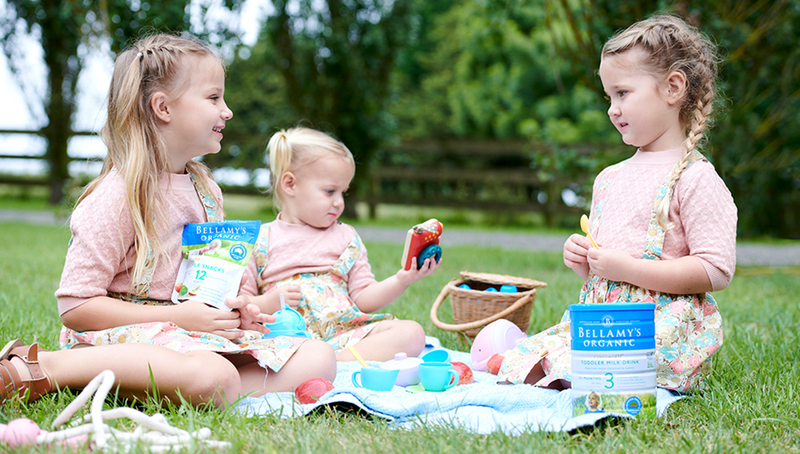 Bellamy’s Organic. What makes organic food better nutrition?